An empty Sheboygan hopper train clatters south (compass direction west) on the home stretch into Butler Yard. Trains is about to take the signal at BJ East interlocking (CPN102). 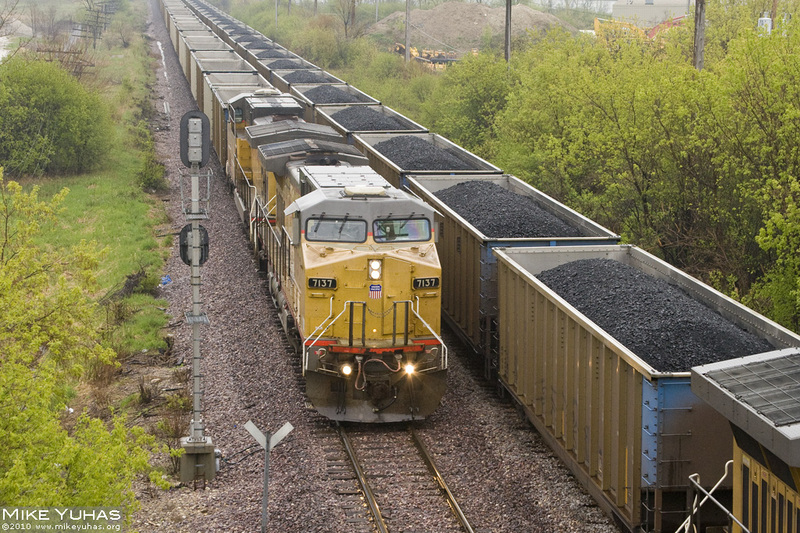 The loaded coal train on Fonda Siding will head to Sheboygan later in the afternoon.